DEA Kickoff is in the books! The official start of the 2016 West Conference season begins with the annual DEA Kickoff in Riverside; CA. Before the softball season kicked off, twenty players participated in a golf tournament. After the scores were counted, Jeremy Hershey (La Lawmen) was the winner of the tournament. For winning the golf tournament, Jeremy received a gun case, donated by www.seahorse.net. Eighteen teams arrived on Saturday morning to show off their new uniforms, new players, and positive outlook on the upcoming season. 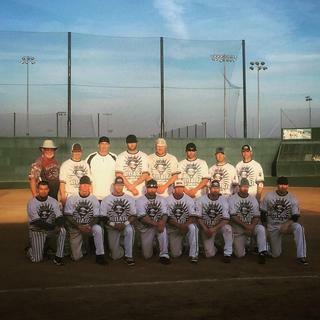 The Missouri Lawmen made their second straight trip to the tournament and felt the 82 degree weather was slightly better than the 32 degree weather back home. 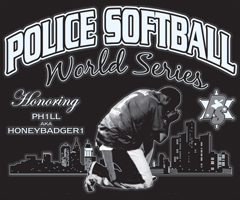 The tournament was once again sponsored by Bret Helmer and was an Easton provided bat format. 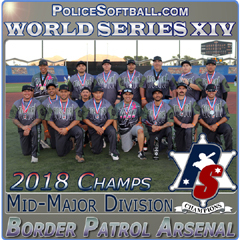 Six “Major” Division teams had to spot their opponents 7 runs in the round – robin games and two other teams will fight their way in the major division. DEA Combo, Alliance, and Battle born, came out 2-0. BP Arsenal came out on fire defeated Cen Cal Connection and Blue Wave, given them the number two seed in the major bracket. La Lawmen also finished 2-0 defeating West Coast United. Missouri suffered from jet lag and finished round robin play 0-2. 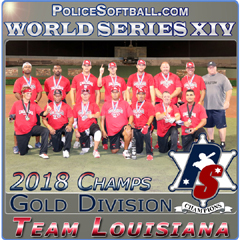 BP Arsenal and La Lawmen earned their way into the major bracket. 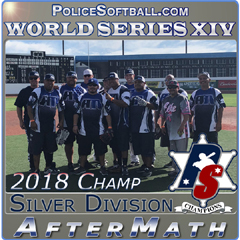 The “B” Flight (Gold) playoffs featured AZ Blaze, So Cal Riot, SB Hit Squad, Gold Combo, Nitro2Go, Most Wanted, Eldo Cartel, Lethal Force, Blue Wave, and Team Galvez. There were 20 participants in the Homerun derby on Fenway. Joe Monahan (Missouri) and Robert Mason (DEA Combo) tied for 3rd. The finals had Stephen Bautista (West Coast United) versus Andy Gonzales (DEA Combo). Andy was victorious and received an Easton bat and gun case donated by www.seahorse.net. Come playoff time the Gold Division was evenly matched as there were some exciting games. AZ Blaze was the number 1 seed heading into the playoffs and they received a first round loss to Lethal Force. The Number 2 seed Hit Squad also lost their first game to Gold Combo. Cartel and So Cal Riot also started off with victories. The undefeated game came down to Cartel vs So Cal Riot. It was a great game, but So Cal Riot was able to get the victory and advance to the finals. Cartel then played Lethal Force to see who would face Riot on the finals. Lethal Force was able to outhit and outlast Cartel. 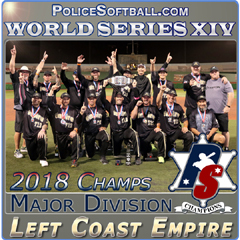 The Championship game was won by So Cal Riot 14-9. All games were competitive and fun to watch. There are many teams in the Gold division you can expect to see playing in the major division this season. Any team can win it at any tournament. They are all very evenly matched. The major division had some great matchups. BattleBorn defeated Missouri putting them into the loser’s bracket early. Alliance defeated La Lawmen, West Coast United and DEA Combo also advanced. That left a much anticipated match- up between Alliance and Battleborn. Battleborn retooled their lineup this off season and Alliance had several players retire. Alliance was down by 7 runs going into the bottom 7th inning. A grand slam by Larkin tied the game and with 1 out, Harryman hit a 3 run homer to give Alliance the victory. That set up the matchup in the undefeated game versus DEA Combo who defeated West Coast United. BattleBorn defeated Cen Cal Connection and West Coast United defeated La Lawmen. This set the two teams up for a great game. 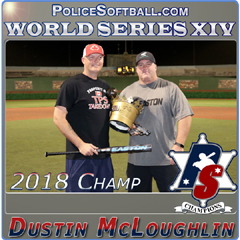 West Coast United was up by 1 run in the last inning and Battleborn was at the plate. With 1 out and runners on 1st and 3rd, BattleBorn hit into a 4-6-3 game ending double play. The loss put BattleBorn into 4th place and West Coast United playing for a chance to make it to the finals. The undefeated game was Alliance versus DEA Combo. Both teams had all their players and were ready to rumble. Alliance was able to get the victory to remain undefeated and they waited for the winner of DEA Combo versus West Coast United. DEA found their stride again and cruised past West Coast United to set up the Championship Game versus Alliance. Alliance had a big inning early and was able to hold off a comeback from DEA. The weather couldn’t have been better all weekend and there will be some great matchups as this year continues. The 7 run format for Gold teams definitely benefits all teams involved. 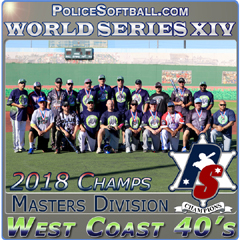 The West Coast wants to thank the Missouri Lawmen for coming down and doing what they always do, play teams hard and have a great time. DEA Kickoff would also like to thank Bret Helmer and Easton for their prize packages to the winners and www.seahose.net for their donations of the gun cases.